After 15 years in advertising Julie flipped over to the other side, joining Facebook & Instagram as Creative Strategist. 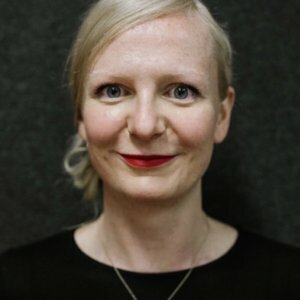 As part of the Creative Shop team Julie helps brands, ad agencies and media agencies to make the best possible creative work for the platforms through consultancy and co-creation. Julie is also a huge proponent of diversity initiatives and feminism. She mentors young creatives as part of She Says' Who's Your Momma programme, creates, sponsors and speaks at events to help nurture and support minority talent, and writes articles on everything from gender stereotypes in advertising to 'mean girls' in company culture. As a huge fan of New Blood, Julie has spent the last few years scouring the students work and collecting cards with the express desire to give students their first big ad campaign 'break'. In her spare time Julie also writes plays, books and screenplays.